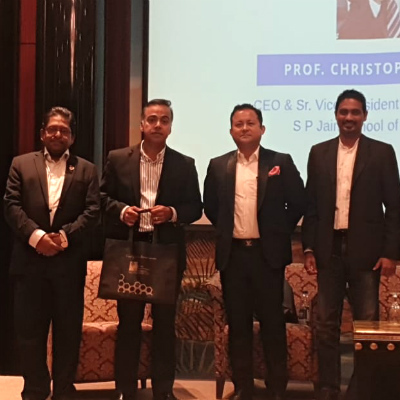 A full house, the event was commenced by Prof. Christopher Abraham, CEO & Head of Campus (Dubai) and Sr. Vice President - Institutional Development at SP Jain, who, in his keynote address, spoke about technology and innovation in disruptive times. 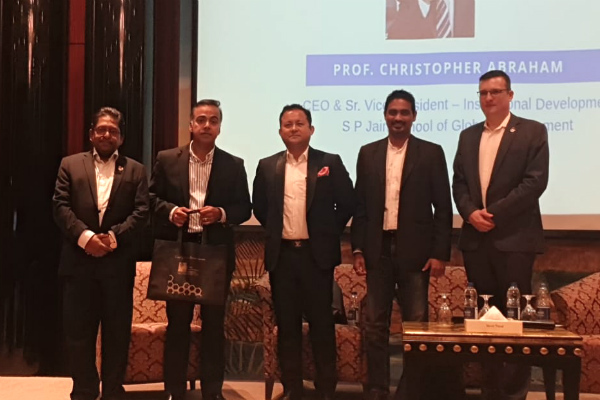 The conversations continued with an insightful panel discussion on the topic of ‘Key to Career Success in Disruptive Times’ moderated by Mr. Marko Selaković, Director – Institutional Development & Student Recruitment (Dubai) at SP Jain. Mr. Marko Selaković added that knowledge is broadly and globally accessible and available. However, in spite of the plethora of knowledge at one’s disposal, not everybody has the hunger to learn. An individual who has the passion to be a lifelong learner is one who would stay relevant and updated in terms of the knowledge, skills and abilities that are required in business, he shared. The event concluded with a short Q&A session with the guests, followed by dinner and networking.